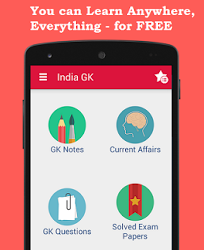 6th April 2017 Current Affairs MCQs, Quiz, Questions: Current Affairs for April 2017, Daily Multiple Choice Questions (MCQs) for India GK, World GK and current affairs with Collection of daily objective type Question by www.Indiagk.net based on General Knowledge (GK) and General Science (GS) Questions for UPSC, State PSC, SSC, Police exam, Railway exam, SBI, Bank PO, IBPC, SSC, LDC, UDC, Army, Airforce, Navy, Coast Guard, Bank Clerk, TET and all entrance examination with current affairs News, Multiple Choice Questions (MCQs) available on Website www.IndiaGK.net and Android Apps with daily updates:. Who has been appointed the new Executive Director (ED) of RBI? What does GARV stand for? Which committee has been formed by the Uttar Pradesh Government to implement farm loan waiver decision? What is the value of the reverse repo rate, as per the first RBI bimonthly policy review of 2017-2018?